With the weather warming up, it’s time to get excited about spending more time outside, whether you’re by the pool, tending the grill, or reading on a balcony. 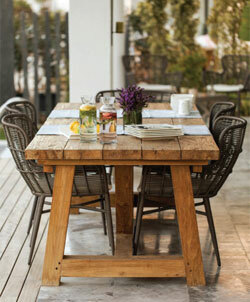 Whatever your outside space looks like, the one thing you’ll need to consider is outdoor seating. 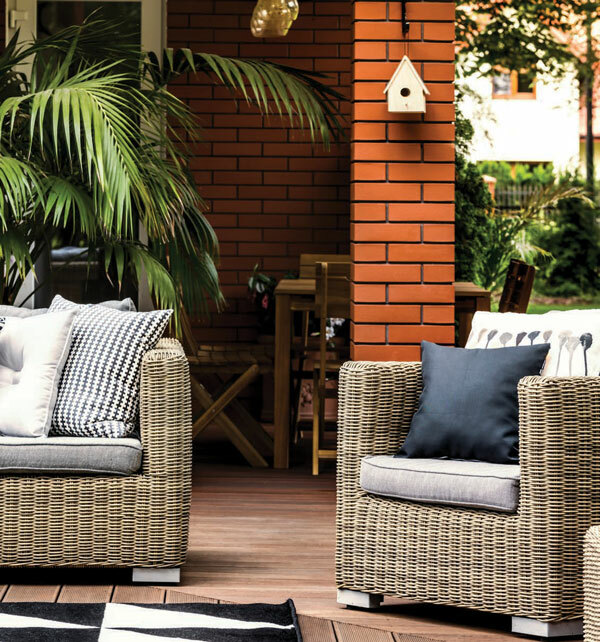 If your area is an open, terraced patio with a fireplace, you may need to consider sturdy, wooden chairs or a pair of loveseats will make the outdoor space feel cozy. If you’re designing a covered front porch, you may only need a few rocking chairs and a set of French doors to coax you to spend time relaxing outdoors. Homeowners have begun treating their outside spaces with much more regard than in the past. The patio or porch is now, quite honestly, another room in your home. The timeless wrought iron and wicker materials are still available in the style we all grew up with, though the elements themselves have had a bit of an update. Wicker furniture, for example, is now most frequently found in treated wood or in all-together synthetic options. These updated selections provide a longer-lasting investment in outdoor furniture because they stand up to the elements and are easier to clean. In the same vein, wrought iron furniture, already a hardy outdoor material, is now treated with rust and fade-resistant coating. Both options are nearly impervious to the elements. Local merchants, as well as online retailers, offer a vast variety of classic shapes and finishes—some look straight out of a classic film and some have a more modern flair, such as more organic shaping in the arms of the chairs or using a material such as stone or an acetate. However, mainstays wicker and wrought iron aren’t limited to the classic styles of the past. Sleek and modern options in both materials are now mainstream. 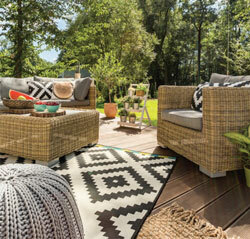 A simple online search of “modern wicker outdoor furniture” returned hundreds of current options. Most of the contemporary designs have a minimalist flair—very little decoration in both the finish and fabric. 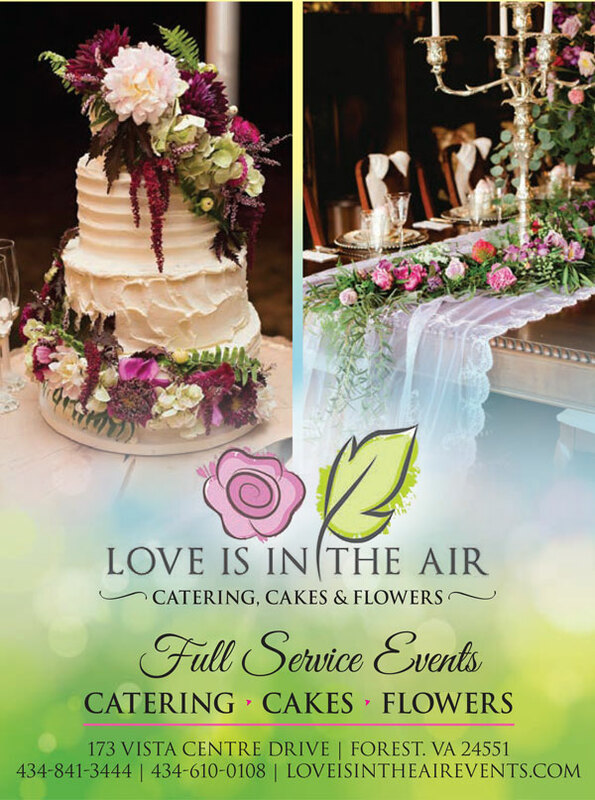 Additionally, they are often sectional, allowing for extensive customization and flexibility in your space. However, modern furniture options extend far beyond wood, wicker and wrought iron. Thanks to the development of sturdy synthetic outdoor materials, the possibilities for your backyard can range from post-modern to space-age. Many manufacturers use materials like polyethylene plastic to create molded loveseats, tables and chairs in a variety of novel shapes and colors, ranging from white and gray to blue and yellow. Some are even equipped with color-changing, glowing LED lights, so you can change the color of your pieces with the touch of a button. This new, plastic furniture does not fade or melt in the sun and is easily hosed off, making cleaning a cinch. The primary consideration you need to take when designing your outdoor space is the level of exposure your furniture and fabrics will need to withstand. With covered areas such as porches, the finishes don’t need to endure the same level of exposure as an open patio. The more open your space is to the elements, the more resilient you need your selections to be, with choice in wood and fabrics in particular. For example, when choosing wooden furniture for an open deck or patio, choosing a durable outdoor-friendly wood and leaving it unfinished may deliver much less heartbreak than selecting a varnished option since varnish frequently becomes discolored and cracked when left in the sun and humidity. The same goes for certain types of paint. When painting or refinishing wooden outdoor furniture, be sure to thoroughly sand and prime with an outdoor primer before selecting durable exterior paint. These critical steps will help your furniture look fresh for summers to come. 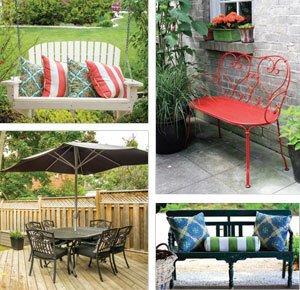 Determining the best finish for outdoor metal furniture is also important. Two main options for metal furniture are paint and powder coat finish. Paint finishes usually have a more extensive color selection and overall better resistance to fading from the sun, but it does require a specialized primer to maintain any strength in the finish. With powder coat finishes, a primer is unnecessary. Powder coat finishes are more durable when applied in thicker layers, but they are prone to chips if applied to a flexible surface and the homeowner can’t usually touch-up the area without needing to strip the entire powder coat. The same consideration goes for fabrics. Visiting a fabric supplier or retailer allows one to feel the difference between indoor and outdoor fabrics. Fabrics are often measured in what is called a “double rub,” which tells the consumer the fabric’s abrasion resistance. Asking a retailer or researching on your own can tell you the double rub measurement of the fabric you’re interested in. A medium durability fabric would be 9,000- 15,000 double rubs; a heavy-duty fabric, 15,000+ double rubs. 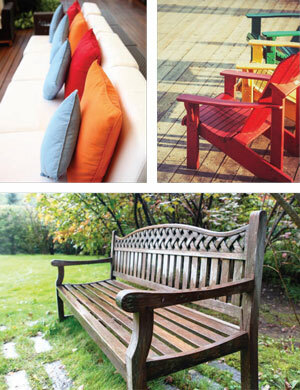 Most modern outdoor fabrics go through a chemical treatment that makes them more durable and resistant to the elements. Selecting a fabric that is made from synthetic materials and is designated as being “outdoor” or “UV-resistant” will definitely be your best option. The fabric with the best reviews is solutiondyed 100% acrylic (such as Sunbrella), which will resist fading from the sun and repel water (thus resisting mildew). Solution-dyed 100% acrylic fabrics are unique in that the acrylic threads are dyed before the fabric is woven together, which makes these fabrics exceptionally durable and attractive! There are inexpensive do-it-yourself fabric sprays that will protect against water and UV rays, but the reviews are often mixed, nor are they compatible with all fabrics. Additionally, you will want to verify that your outdoor cushions are filled with a polyester fiberfill stuffing, compressed polyester, or polyurethane foam inserted into a water-resistant cover. This will ensure that your fabric will be just as protected on the inside as it is on the outside. You may also want to invest in waterproof furniture covers to protect your furniture when your space is not in use, such as during the winter months. Many covers are UV-resistant and include mesh vents to prevent mold and mildew from taking hold and may also include a warranty.